We may have been a little too eager to declare whether or not something is part of the nebulous Cloverfield series in the past, but the trick of those movies has always been that it’s hard to tell what they’re really about until the very last moment. It’s sort of like a cinematic Schrödinger’s cat, in that any film can simultaneously be a Cloverfield movie and not a Cloverfield until we open the proverbial box and see if it says Cloverfield somewhere in the title. One easy hint for determining whether or not something is a Cloverfield, though, is by seeing if it comes from J.J. Abrams’ Bad Robot production company, the studio behind the Cloverfield series. 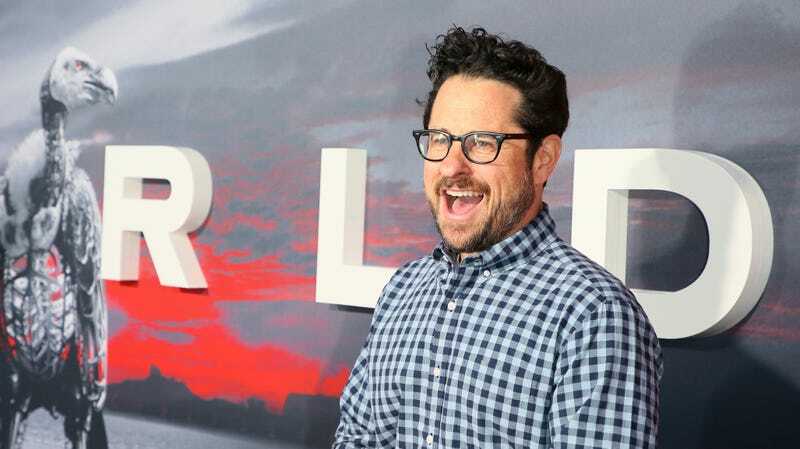 Today, Bad Robot announced six new titles that it has in the works (via The Hollywood Reporter), and while none of them are explicitly listed as a Cloverfield, the fact that three of the studio’s 16 movies have been a Cloverfield means that—statistically—at least one of these must be as well. First up is The Steps, which comes from Hellfest and Polaroid writer Blair Butler. It’s a “twist on the possession story,” which implies ghosts, meaning it probably won’t have anything to do with the aliens and extra-dimensional monsters of Cloverfield. Is it a Cloverfield? Yes, as THR says it’s based on an idea from 10 Cloverfield Lane editor Stefan Grube. Next is Untitled Megan Amram Thriller, an untitled thriller from Good Place writer Megan Amram. It’s going to be a “female-driven horror anthology,” which means it will have multiple opportunities to tie in with the larger Cloverfield mythology. Is it a Cloverfield? We’re going to say yes, and it will eventually be renamed Untitled Megan Amram Cloverfield Thriller. The third project is The Seven Sisters Of Scott County, which is about “trucking and sisterhood.” It comes from The Good Time Girls’ Courtney Hoffman. As far as we know, there is no sci-fi/horror twist, but the true hallmark of a Cloverfield is that you don’t always know when the twist will come. Is it a Cloverfield? Yes. The real title will be The Seven Sisters Of Scott Cloverfield, and it will be about trucking, sisterhood, and Clovie the Cloverfield monster. The fourth movie is Untitled Ben Shiffrin Thriller, which comes from Nine Lives writer Ben Shiffrin. It’s a “contained time-travel story,” so there could be all sorts of chances to sneak some Cloverfield creatures in. Is it a Cloverfield? Absolutely. They should call it Cloverfield Ben Shiffrin. Project five is Everything Must Go, a movie co-written by the rapper Logic that is pitched as “Clerks for a new generation.” Again, there’s no clear sci-fi/horror twist. Is it a Cloverfield? Well, what says “Clerks for a new generation” better than also being a Cloverfield? Nothing, that’s what. They might as well have called it a Cloverfield for a new generation. Finally, we have Only The Lonely, a sci-fi romance directed by Stefan Grube—who, again, edited one of the previous Cloverfield movies. Is it a Cloverfield? This one actually seems more likely than the others, which makes us regret predicting that all of the other movies would be a Cloverfield. We also think that Only The Lonely is a fake title, and it will be renamed Clovely The Cloverfieldly before release. Cloverfielded Cloverfields. Cloverfield? Cloverfield! Cloverfield!